Starting Point: Pick You Up From Hotel In Bali – Nusa Dua, Kuta, Seminyak, Jimbaran, Legian, Sanur, Lovina, etc. We started our trip at 07.00 am after breakfast in the hotel, and drive you directly to Sukamade (Meru Betiri National Park) for about 6 hours. On the way to Sukamade, we should visit the traditional coconut sugar production, and passing through the rubber and cacao plantation. We arrived in Sukamade National Park area around 14.00 pm, check in the Mess Pantai and take a break for lunch, walking around the park. 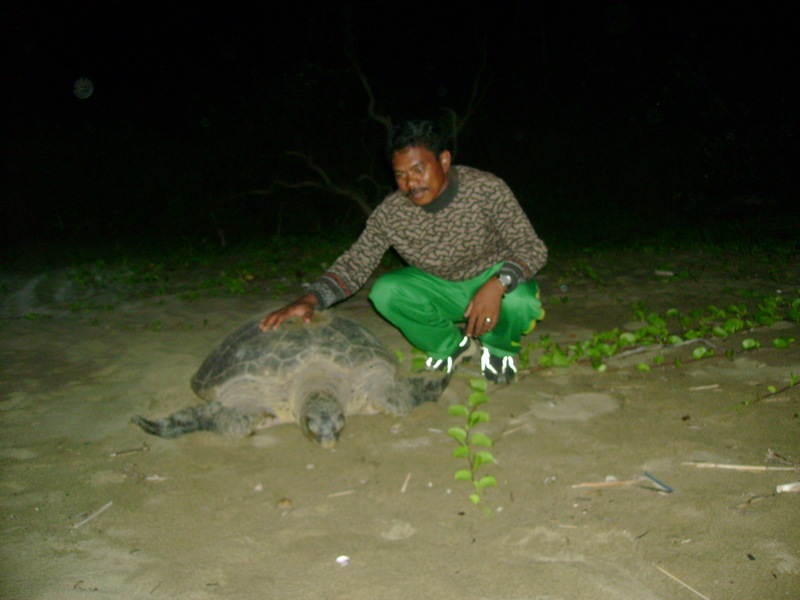 At 9.00 pm after dinner till 12.00 am we start to see the breeding turtle lay the eggs in the sand. At 06.00 am we release the baby turtle to the ocean and after we’ll have a breakfast. After breakfast, we start to Jungle trek in Meru betiri Forest with the Ranger and guide for about 2 hours. After jungle trek, going back to Mess Pantai, packing, and on the way back to Banyuwangi, we will visit fisherman village in Rajegwesi.